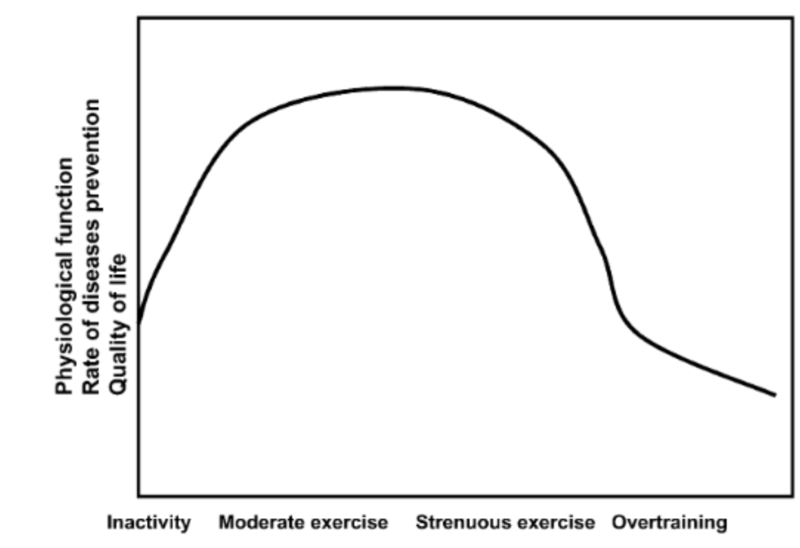 People respond very differently to exercise. This means some people can show up in the gym and do 1 set and get twice the gains as a hard-working “non-responder”. The Muscle Full Concept – Researchers now believe there there’s a limit to how much protein we can use for anabolic purposes in one sitting. This article is a summary of the relevant research on anabolic signaling mechanisms. If you want to get into the nitty gritty, you can find the full 56 page version here. This article has been edited for clarity and succinct-ness. Can we predict how our bodies respond to an exercise program or diet? Should you eat 30g of protein every 3 hours? Can exercise harm the body? These are some of the questions researchers try to answer in the field of anabolism. Our bodies use anabolic signaling mechanisms to communicate to our muscles that they need to grow. A lot of research looks at how diet and exercise affects this communication. For example, our bodies go through temporary changes when we feed protein. Many researchers argue that we can use these changes to predict muscle growth. However, it can be difficult for us to predict the future because the body is very complicated. We would need to know all of the relevant factors that influence the outcome before we could make an accurate prediction. The body contains many anabolic mechanisms, and they are all connected to each other – kind of like how a car consists of many parts that rely on each other to function. Sometimes people look at one mechanism and say that it causes gains. For example, they say that anabolic hormones such as testosterone cause hypertrophy. Does this mean that a testosterone spike after exercise leads to more gains? This is one of the questions we will look at in part 2 of this series. The media often misrepresents research articles, so there’s a lot of incorrect advice on the internet about how anabolic research connects to our real lives. Our goal here today is to figure out if we can use this research to predict hypertrophy. To do that, we discuss how the body adapts to exercise. Then we look at muscle protein synthesis (MPS) and muscle protein breakdown (MPB). These mechanisms have many interesting functions in the body, and we will see if they are connected to gains. We will also discuss claims about the 24-48 hour post-exercise feeding window, feeding frequency recommendations, NSAID effects on hypertrophy and strength, and how individuals respond to exercise. Computers need fans to cool down their internal components. If the fans fail, some parts will overheat and eventually shut down. To ensure that this scenario doesn’t happen, the motherboard monitors fan speeds and adjusts them accordingly to the changes in heat that are reported by sensors. This is similar to how our body tries to maintain a stable internal environment to survive. In animals, this process is complicated. For example, the body constantly regulates things like our temperature and blood pressure to ensure our survival. This regulation is difficult because the body is constantly being challenged by things in the external environment such as weather and temperature. Exercise is also part of the external environment because it’s affected by what happens outside of your body. In weightlifting, we use muscle contractions against gravity to create what the body perceives to be a “stressor.” To overcome this external stress, the body adjusts its internal environment as a response. For example, the body can increase blood flow to muscles and elevate your heart rate. This is called homeostasis, and it’s usually activated by short-term challenges. The body can also adapt by making long-term changes, so that the challenges of the present will be easier to overcome in the future (Ji et al., 2016); this is called hormesis (Peake et al., 2015). An example of hormesis is your body improving your capacity to do heavy lifting by packing on muscle mass (Hoppeller, 2016). From a biological point of view, our muscles are adaptive mechanisms. If you have a lot of muscle mass, you’re well adapted to do one activity (i.e. lifting), but maybe not another (i.e. marathons) (Vasudevan et al., 2013). Being good at one specific activity usually means we are worse at others, due to the principle of specificity. The principle states that you should train according to the athletic goal you are trying to accomplish (Morrissey et al., 1995; Hawley, 2002; exrx.net). For example, if your goal is getting the highest 1RM in the squat, most of your training should revolve around squatting and squat-related mobility/isolation work. However, some researchers question how important training specificity is (Izquierdo et al., 2002; Hawley; 2008), arguing that genetics are better at predicting athletic potential. Maintaining a lot of muscle mass is very challenging. Your body is constantly trying to adapt by adding or removing muscle mass in response to the environment. Important factors in this process include energy availability, recovery, and external stressors. Energy availability is basically your diet and how and when you eat. Recovery encompasses diet, but also includes sleep and rest from stressors (both physical and mental). In addition, muscle mass is very energy-demanding. If you were to be in a survival scenario, you’d actually want to pack some fat and an appropriate, small amount of muscle because muscle would reduce survival potential due to its high energy requirements. When the body recognizes a starvation scenario, it will atrophy (Vasudevan et al., 2013). From a biological point of view, people who have a lot of muscle mass show us that they have access to an abundance of resources (i.e. food). Muscle mass also tells us a lot about our internal environment. First, a person with a solid body composition needs to be able to train frequently at a level that challenges them. If you’re able to do this while maintaining or increasing muscle mass, you have personality traits such as willpower, the ability to plan and stick to a program, and good routines. Second, your internal machinery needs to function properly to be able to make gains. Anything from hormonal and molecular responses to genetics is part of this equation. If you have a lot of muscle mass, you’re more likely to have a good internal environment. It shows that you have developed athletic ability as well. On the flipside, a lack of muscle mass could be a sign of disease, illness, metabolic disorder, etc. (Wolfe, 2006). In other cases, it could simply be the effect of a sedentary lifestyle, lack of food, or poor eating habits. Neither scenario indicates good health (Venditti et al., 2015; Johannsen et al., 2016). Your muscle tissue is highly plastic, meaning it can grow or atrophy. The growth potential of this tissue is not only affected by your genetics (Nuckols, 2016), but also by how your environment (i.e. exercise, diet, recovery) turns your genes “on or off” (Roth et al., 2003). This is called gene expression. These expressions are vital because they determine how our bodies are constructed and function. Gene expressions affect not only our muscles, but also our immune system via mechanisms such as inflammation and free radical oxidation (Radak et al., 2008). The media often report that inflammation and free radicals are “bad for the body.” For example, you might hear that free radicals damage our cells, and thus we must consume a great deal of antioxidants to prevent this damage. This view is based on a limited understanding of how the body adapts to its environment. Several researchers have shown that temporary inflammation and oxidative damage is necessary for our body to adapt properly (Peake et al., 2015; Ji et al., 2016). Thus, by taking anti-inflammatory agents and antioxidants, we might be hindering our own body’s attempts at improving itself (Tzur, 2016). The body has several requirements that need to be met before it can adapt to exercise. One of these requirements is that you exercise within your work capacity. If you exceed your work capacity, you’re overreaching. Temporary overreaching can be beneficial in a properly periodized training plan, but if you do it on a continual basis, it can lead to overtraining, which can be harmful to the body (Ost et al., 2016). Researchers warn that excessive exercise can impair your immune system, increasing your risk of infection; however, your immune system is improved by appropriate levels of exercise (Radak et al., 2008). In addition, it’s possible that the cardiovascular (heart, lungs, & blood) and limbic (brain) systems benefit as well (Ntanasis-Stathopoulos et al., 2013). Skeletal muscle tissue is made of proteins, and it exists in a homeostatic tug-of-war between creation (muscle protein synthesis: MPS) and degradation (muscle protein breakdown: MPB). These two mechanisms are influenced by exercise and diet. Researchers like Atherton and Smith claim that exercise has anabolic and catabolic potential. This means that exercise could cause your muscles to grow or atrophy depending on how you periodize your program and recover from each workout. Growth is associated with increased MPS and lowered MPB, and atrophy is associated with increased MPB and lowered MPS (Atherton & Smith, 2012). Think about it like this: MPS is like the good bees that bring honey into a beehive, while MPB is like the evil bees that try to steal honey from the hive. Both good and evil bees are constantly trying to bring honey in and out of the hive, but at the end of the day, the only thing that matters is how much honey is left. If there is a net gain in honey (+MPS-MPB), then the hive was successful and all the good bees mock the evil bees. But if the evil bees won, the hive shrinks in size and the potential for honey storage shrinks with it. This is obviously an oversimplification, but it helps us understand the basics of MPS/MPB. The point is that honey-gathering and honey-stealing are continuous processes that go on throughout the day. I think there’s a bit of a misconception when people say the body only adds muscle at the end of the day/week. It’s a continuous process, and it’s influenced by our diet and exercise. However, there’s a lot of difference between individuals and how well their bodies adapt to exercise. Researchers have labeled individuals who respond well to exercise as “responders” or “high-responders,” while those who do not adapt as well are called “non-responders” or “low-responders” (Davidsen et al., 2011; McGlory & Phillips, 2015). Furthermore, researchers often use “convenience samples” in many exercise and nutrition studies. A convenience sample is a bunch of people that are “conveniently” selected to participate. It’s very normal that professors and researchers ask university students to join a study. Let’s say the researchers chose 10 fit male university students in their twenties. These subjects won’t be representative of the population, so you shouldn’t assume these results apply to your own life. Let’s say you are into stocks, and you want to see if Microsoft is a good investment. When looking at how Microsoft stocks have developed over time, you’d want to look at the entire timeline, not just a small part. If you were to only look at a small growth spurt in the timeline, it wouldn’t necessarily represent how the company has developed over time. It’s the same in science: You need to look at the entire picture. Subjects chosen via convenience methods only represent a small part of the “timeline.” This is a big reason why we should be careful about accepting research conclusions at face value (Tzur, 2016a). Can anabolic signaling mechanisms predict hypertrophy? Note that some of these explanations are oversimplifications for the sake of brevity. Part 1 mainly deals with muscle protein synthesis and breakdown while part 2 will deal with other mechanisms. As we’ve discussed briefly already, muscle protein synthesis (MPS) and muscle protein breakdown (MPB) are the primary mechanisms that regulate muscle tissue growth and loss. MPS is said to build muscle, while MPB does the opposite. The daily net balance of MPS and MPB is hypothesized to determine our mass gains. This is called muscle tissue remodeling, and it responds to stimuli such as exercise, diet, and sleep. How much do our muscles grow in response to exercise stressors? It depends on a bunch of factors, such as how well our genetics “match” the type of training we are doing (Jones et al., 2016), or how our external environment influences our genes. Indeed, the environment we live in alters our gene expressions. Gene expression is basically a selective activation of genes in response to challenges facing the body (like exercise) (Denham et al., 2016). For example, if you’re living a sedentary lifestyle rich in high-caloric fast food with little protein, your body will not activate the “gains genes” (or perhaps only the “fat gains genes”). Following this, researchers have warned that when trying to predict hypertrophy, it’s important to not look at MPS in isolation. There are many things that affect the totality of the outcome, such as MPB, how trained an individual is, genetics, the environment, etc. Due to all of these interconnected factors, it’s very hard to predict how an individual will respond to exercise. However, a recent study by Damas et al. (2016) controlled for some of these factors and was able to correlate MPS with hypertrophy. This is a major development in anabolism research, and I hope the future will bring more studies like this. As I mentioned, exercise has anabolic and catabolic potential because MPS and MPB are both elevated after exercise. It’s possible that we increase the anabolic response to exercise by feeding in the post-exercise period (which could be anywhere from 1 to 24 hours, depending on which study we look at). If the body doesn’t get nutrition after exercise, it’s internal environment is likely to become more catabolic (Atherton & Smith, 2012; Smiles et al., 2016). We can prevent this by feeding protein, which contains essential amino acids. These amino acids are anabolic because they temporarily increase MPS. Protein also influences the excretion of insulin, which is anti-catabolic because it lowers MPB, especially post-exercise. So by feeding a meal after exercise, we get the best of both worlds in terms of anabolism and anti-catabolism. This occurs because essential amino acids and insulin act synergistically (Kumar et al., 2009). I should clarify that this doesn’t mean you have to eat 30 minutes after exercise or you lose your gains. It means that there’s a potential to optimize anabolic and anti-catabolic responses in the hours following exercise. Some researchers argue there’s a limit to how much protein we can absorb in one sitting. The limit may be somewhere between 20g and 70g of protein, depending on the type of protein we consume and whether it is in the context of a meal or if we take it as a shake on an empty stomach (Atherton & Smith, 2012; Loenneke et al., 2016; Kim et al., 2016). Proteins over this threshold are still metabolized; it’s just that the amino acids are oxidized and not used for anabolic purposes. They may be converted to glucose and then stored as glycogen instead, for example. It’s debatable to what extent nutrient timing affects hypertrophy in real life. It’s something I will explore in more detail in another review. This is just a teaser. Before the conclusion, we will look at NSAIDS and fish oil to see how they affect MPS signaling. NSAIDs are used to treat Delayed-Onset Muscle Soreness (DOMS) caused by Exercise-Induced Muscle Damage (EIMD). There is some concern that by “treating” these conditions, we may “impair the adaptive response to exercise” (Schoenfeld, 2012). When it comes to MPS, Schoenfeld identified some studies on human subjects. The studies had different methodologies and measured different types of MPS (endurance-related MPS versus hypertrophy-related MPS) and were thus not directly comparable. Some studies said MPS was blunted by NSAIDS, while other studies contradicted this. Schoenfeld concludes that short-term use of NSAIDs will probably not be an issue, while long-term NSAID usage might be harmful to adaptations. Following Schoenfeld’s review of 2012, new studies have been published. Note that the study populations were narrow, hence not representative of the population at large. The focus of the research hypothesis here seems to have shifted from “are NSAIDs harmful to adaptations?” to “will NSAIDs improve adaptations?”. A recent study by Vella et al. (2016) demonstrated no change in inflammatory markers or DOMS following Ibuprofen ingestion. The subjects were untrained males and consumed three 400mg doses of Ibuprofen throughout the trial day. This study didn’t evaluate or measure MPS, but is still relevant enough to mention. The point is that the effects of NSAIDs aren’t as clear-cut as we would like them to be. In regards to fish oil, McGlory et al. found in 2016 no change in MPS in a group of 20 resistance-trained young men. The duration of the intervention was 8 weeks, and the subjects underwent high-intensity strength training followed by 30g of whey protein ingestion and a daily fish oil (FO) ingestion of 5g. These findings were slightly surprising to the researchers as there had been previous studies showing increased MPS and strength following FO supplementation in the young, old, and middle-aged. Note: the following analysis is from the perspective of MPS research. Hence, I am ignoring parts of the literature and my conclusions shouldn’t be considered the “final say” on the matter. I will dedicate separate reviews to these questions where I answer them more fully by looking at all aspects of the literature. Consider this an introduction / thought-provocation. According to the theories of hormesis and homeostasis, the body tries to recover from external stresses in the short-term and long-term. When the body is fasting, its capacity to adapt and improve may be limited. After exercise, the muscles have anabolic and catabolic potential. Muscle tissue can atrophy if the body is not given proper recovery and nutrition (Smiles et al., 2016). Since we experience higher levels of inflammation, MPB, and immunosuppressive responses post-exercise, there’s reason to believe that waiting 12 hours before ingesting protein is likely a bad idea. In addition to this study, an oft-cited study by Burd et al. (2011) states that there is a 24-hour increase in MyoMPS (the type of MPS central to hypertrophy) following resistance training. From this, people have concluded that nutrient timing does not matter as long as we eat protein in this period. However, the study did not measure MPB, long-term hypertrophy (i.e. CSA, or fat-free mass increases), or any other anabolic signaling mechanisms. Combine these limitations with a N=15 sample size, and we can’t conclude anything. The study is very interesting and useful, but let’s not read more into it than what is warranted. A 2013 review by Schoenfeld et al. found little benefit to protein timing in the untrained. The total protein intake was the primary reason for increases in muscle mass. However, they admit that a lack of evidence makes any conclusions tentative to new research on resistance-trained subjects with controlled protein intakes. I won’t make any strong claims yet because I’ve not read enough studies about this. However, I will say that just because MPS is elevated for 24-48-hour after exercise does not mean the body has the same anabolic sensitivity throughout this time period (i.e. eating proteins within the first couple of hours may be more important than 12 hours later). Based on MPS research, there’s not enough evidence to make strong conclusions. If we accept the muscle full concept as true, then frequent 20g (protein drinks) to 50g (mixed meals) feedings of high-quality (bioavailable) protein would be ideal for muscle gains, given that protein intake beyond this level may lead to amino acid oxidation (McGlory et al., 2016). Regardless, for some people, eating more frequently could be useful if it allows them to eat more protein throughout the day. The body is incredibly complicated machinery that is influenced by many internal and external factors at different points in time. People react differently to exercise; we have non-responders, responders, and what you might call “extreme responders.” Some individuals could go to the gym, do single working sets, and gain more muscle mass than a low-responder doing multiple sets. MPS is only one factor that is used to predict these adaptations. From the literature, it is unclear whether MPS can predict individual lean mass gains when measured in isolation. Approximating future improvements is only something a coach could do if he or she is familiar with an athlete as well as the primary influencing factors in the athlete’s life. Without having been a coach myself, I would assume, based on this information, that it would be best to experiment with athletes as individuals rather than enforcing rigid, predetermined programs on them. There’s still disagreement in the literature to what extent NSAIDs interfere with our adaptive system. Some researchers find no change in MPS or muscle mass, while others discover that NSAIDs blunt MPS; and in some research, the subjects even gain mass following an NSAID + strength training program (Trappe et al., 2011). Regardless, looking at how NSAIDs affect MPS is only looking at a small part of the picture. Our bodies adapt to exercise in many different ways. Factors that influence this include: acute post-exercise inflammation, MPB, MPS, muscle damage, age, training status, genetic ability to adapt to exercise, protein timing, and more. We can clearly see that MPS is only one mechanism out of many. A spike in MPS after exercise may show an intention to grow (McGlory and Phillips, 2015), but it may also just be the body’s homeostatic emergency response to “douse the flames” of muscle-damaging exercise (Damas et al., 2015a). Further, the body can intend on growing as much as it wants to, but if it is not given proper nutrition, we get no growth. However, the recent Damas et al. (2016) study controls some of these factors, aiding in our understanding of MPS’s positive effects on hypertrophy. From the research presented in this paper, I think an individual-centric, holistic perspective is warranted when trying to predict how we adapt to exercise. This means we don’t assume that everyone responds the same to diet and exercise. We also shouldn’t assume that only one mechanism (like MPS) determines our success or failure to improve our body composition. We need to be patient when it comes to the literature and await progress in gene research to be able to make certain claims about what we can and can’t do to progress optimally. High protein intakes help with hypertrophy. Resistance training is likely to increase muscle mass given proper nutrition and recovery. Intense exercise may lead to stronger adaptive responses than less strenuous training (relative to an individual’s work capacity). But when we start to talk about how certain rep ranges are superior for hypertrophy, for everyone, things get murky. We need more well-controlled, long-term experimental studies with resistance trained athletes.